Superstar Mohanlal was seen attired in the army uniform. So, what is new about that, one might ask. Well, this time it is not for a film shooting. Mohanlal was received as a commissioned officer at the station of the 122 Infantry Battalion recently. He was commissioned in to the only Territorial Army (TA) unit after having been conferred the honorary Lieutenant Colonel. 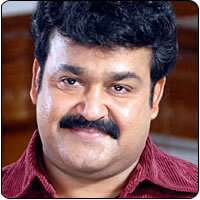 Mohanlal will undergo formal training at the TA and a ceremonial reception was accorded to him. Battalion Commandant Col. Davidson Kolath welcomed Lt. Col. (Hon.) Mohanlal at the station. Several officers and Jawans of the TA unit were also present during the event. Mohanlal will undergo training in weapons handling, firing and other army activities.